When it comes to building fences for athletic applications there is a different standard in durability and function than regular fences. 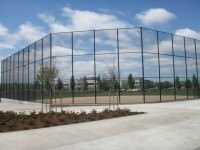 If you’re looking for a contractor to install an athletic fence here are a few things to consider. What will be the main function of the fence? Are you going to be using it to enclose a field or will it be used as a backstop? These are important questions because different uses can call for a different gauge of wiring. 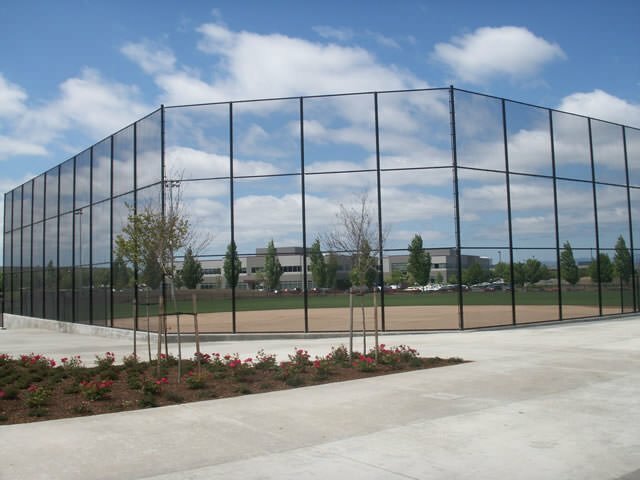 For example, a backstop fence would use a much thicker gauged wire than a homerun fence. The thicker wire means it will take longer to wear down and will have a better chance of standing the test of time. A homerun fence, on the contrary, sees little wear and is more of a boundary marker, not requiring as heavy of a gauge of wire. Additionally, there are some aesthetic offerings that can be applied to athletic fencing as well. 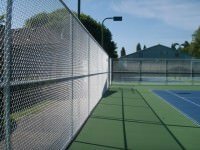 For example, if you are enclosing an athletic court that is near your home you may want to use a vinyl coated chain link fence rather than a traditional galvanized fence. This will give your fence a cleaner and more professional look which may mesh better with your home. This leads us to our next important point: fence coating. If your fence is in an area that sees heavy exposure to moisture, like here in the northwest, it is a good idea to make sure it comes with a protective coating. Sports field fences are at a higher risk for water damage because of the continuous exposure from sprinkler systems. 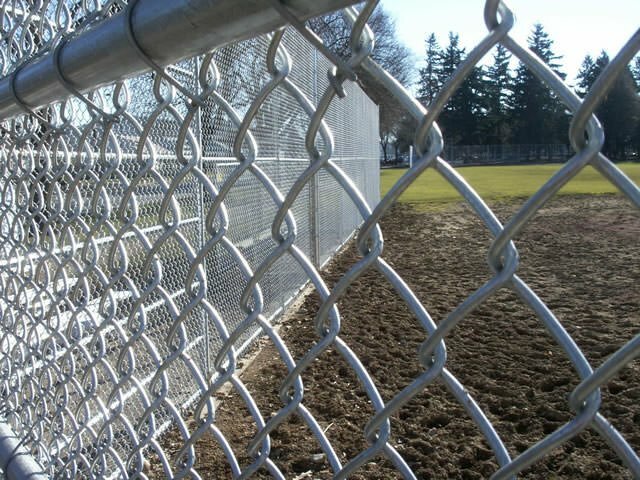 To prevent this you can have your chain link fence coated in aluminum prior to installation. Be sure in inquire with your contractor about the various protective coatings that can be added to your chain link fence. It could mean the difference between a rusty, brittle fence and a long lasting one. 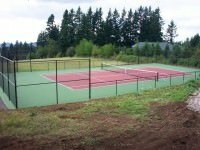 When choosing a contractor for your sports fencing project, it is important that they have relevant experience in that field. Due to the high wear and tear of certain athletic field applications like baseball backstops, it is important to make sure that the proper product is used during installation. Furthermore, Portland and the Northwest in general are very wet places, which can increase the breakdown of fences. 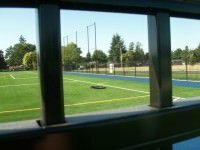 Pacific Fence & Wire Co. has the experience and knowledge acquired from years of serving Portland, Oregon and surrounding communities and can be trusted with your next sports fence application need! We can help you with all types of sports fence installations from small residential courts to large complex recreational systems. Our expertise and knowledge allow us to make sure we install the right type of fencing system to match your needs. We can also coat our chain link fences with different colors so that we can match the look of your facility. 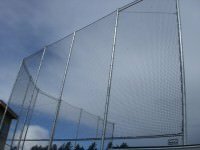 Don’t forget, we install net systems as well, which will act as safety barriers and backstops for overshot balls. 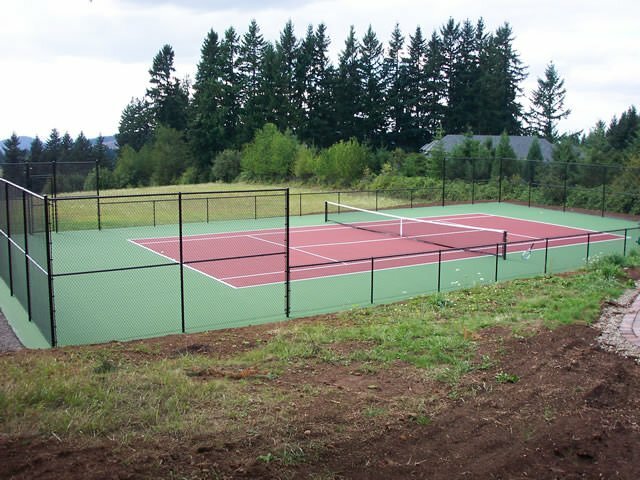 We are Portland’s leader in sports fencing! See for yourself by browsing some of the images from our recent installations or give us a call today for a free estimate. If you are considering a fence for a sporting application be sure to contact us today. We have the experience required to get the job done right and have worked on both private and municipal sporting fences. To learn more be sure to visit our athletic courts and facilities fence page.